A poor loving family in Catarman, the Philippines is struggling with a mother who has acute liver cancer. 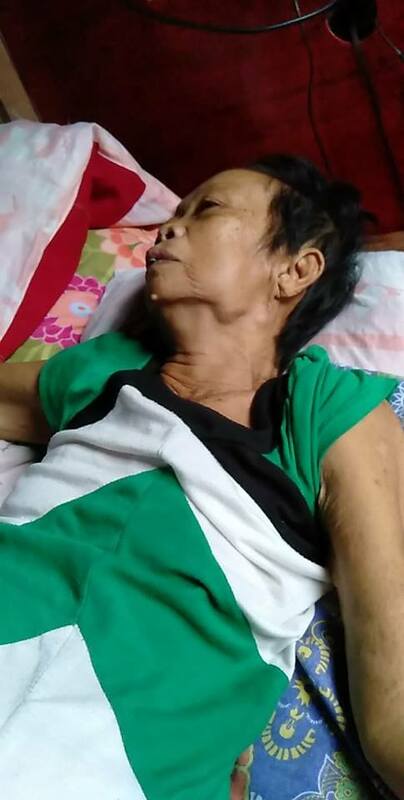 The lady’s name is Dominga Mapa, who is 73 years old and very weak. 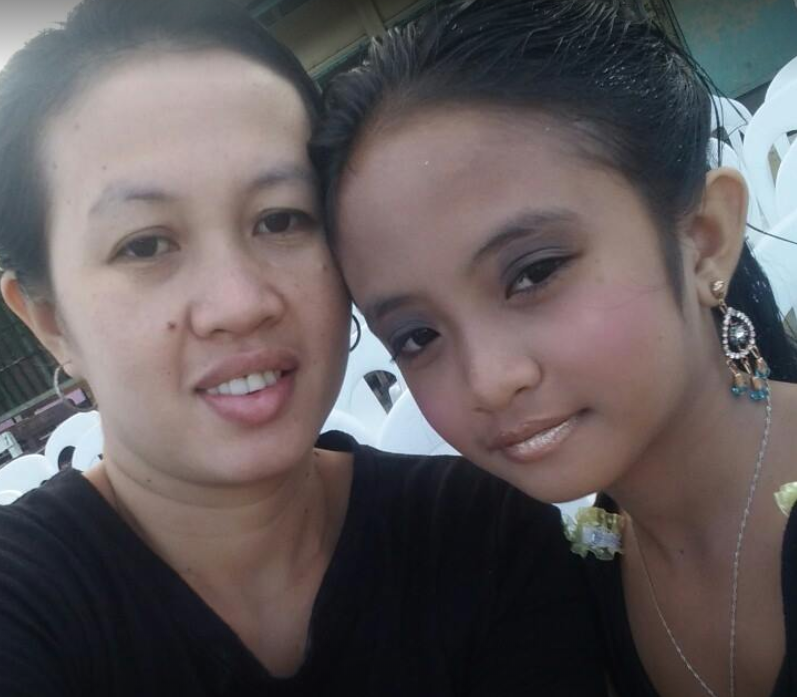 ( Her daughter who is caring for her is Rowena Mapa who along with her other siblings are seeking to support their mother). Dominga by now, can eat very little and has to be on oxygen often to breathe. She cannot speak very clearly and her voice is weak and almost unable to be heard. 10, 000 Philippine pesos (£150 . 00) per month. I am asking for Christian believers to help this lady. Dominga also has a broken hearted, sick husband who has heads two strokes already and is crying with the grief of the poverty and the sickness of his wife. 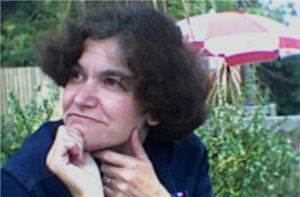 Please extend mercy to this dear lady and her family. ( approx $1020). This to cover the cost of money already borrowed to be returned with interest to the money lenders and for the next 3 months of Dominga’s treatment. By God’s grace her life may be extended. Our precious Lord and saviour is so many things to us. Jesus, Lamb of God, Mighty victorious Lion. In this audio message we look at His glorious conquest. 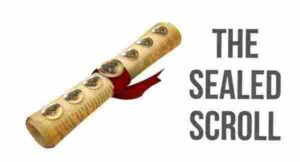 If actually no one in the whole universe was found worthy to open the scroll containing God’s counsels, we would surely need to weep, for the whole universe would be vanity, with none qualified to release God’s purposes contained in the scroll. But praise God The Lamb of God is victorious! 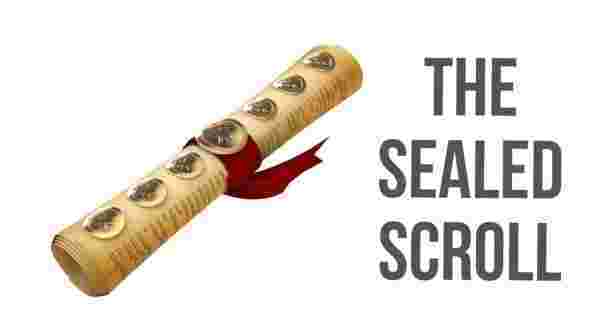 The “scroll” in Revelation chapter 5, is surely the New Covenant, the grand title deed in the universe, enacted with the blood of the Lamb for God’s redemption of the church, Israel, the world, and the universe. This book is a record of God’s thought concerning the church, Israel, the world, and the universe. 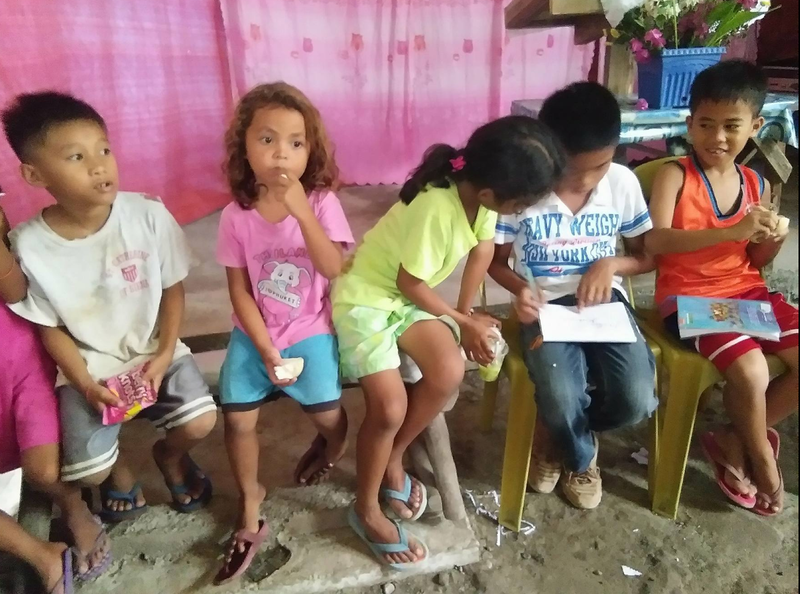 Since I returned on October 9th 2014 from 20 days preaching in The Agusan region of the Philippines, the gospel has been advancing in this region. In 2014 while travelling and preaching The Wonderful JESUS in the Philippines, I formed strong bonds with pastors. To this very day that relational bond exists. The pastors are full of love for Jesus and “ sold out” in the mission of preaching the gospel. While I was there with them I became very aware of the need for prayer and practical financial help to be given to them. The were (compared to western pastors) materially poor with meagre resources and the need continues to this day to help them! 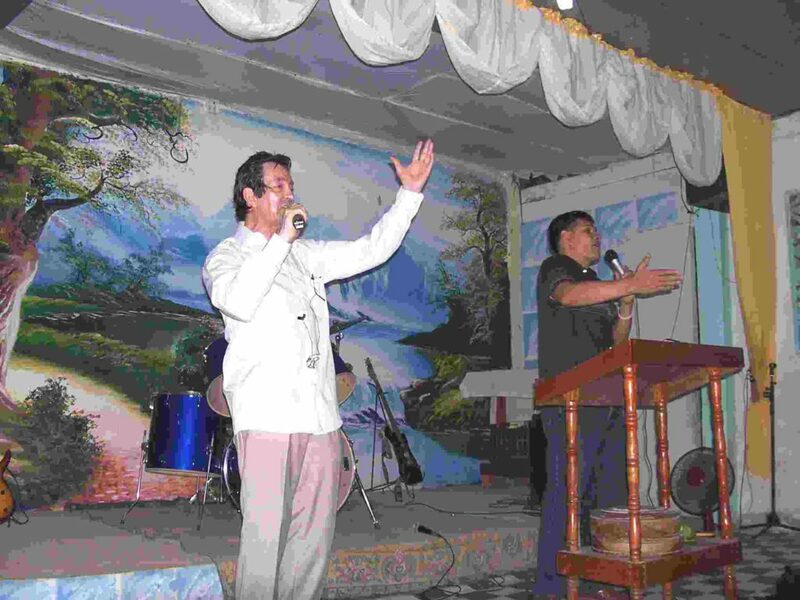 Many of the pastors in the provinces are poor and in need of food (mainly rice). There is also the need to support feeding of malnourished children in poor “squatters” camps; this mission of mercy has started to bear much fruit in the salvation of families and the establishing of churches. 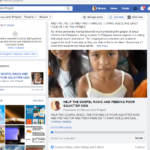 While in Butuan I had a “slot” on two of Pastor Lubel Quitoriano’s Christian radio broadcasts; these vital transmissions by Pastor Lubel continue. It is imperative that the gospel continues to go out on the airwaves in this region. Only a minority of the regions inhabitants are born again and truly saved! Also, there are many false cults in this region. So the radio ministry needs to continue today, having a great impact and importance. All of this takes finance! Recently, Pastor Lubel has expressed an eagerness that he and I work together in this radio ministry; I am presently sending mp3 sound files up for weekly radio transmission. AND SO IF ANYONE FEELS ABLE AND LED OF THE LORD TO FINANCIALLY SUPPORT THE RADIO MINISTRY AND/OR THE PASTORS DAILY RICE, THAT WOULD BE SUCH A BLESSING TO THE PASTORS AND FAITHFUL IN THIS REGION! 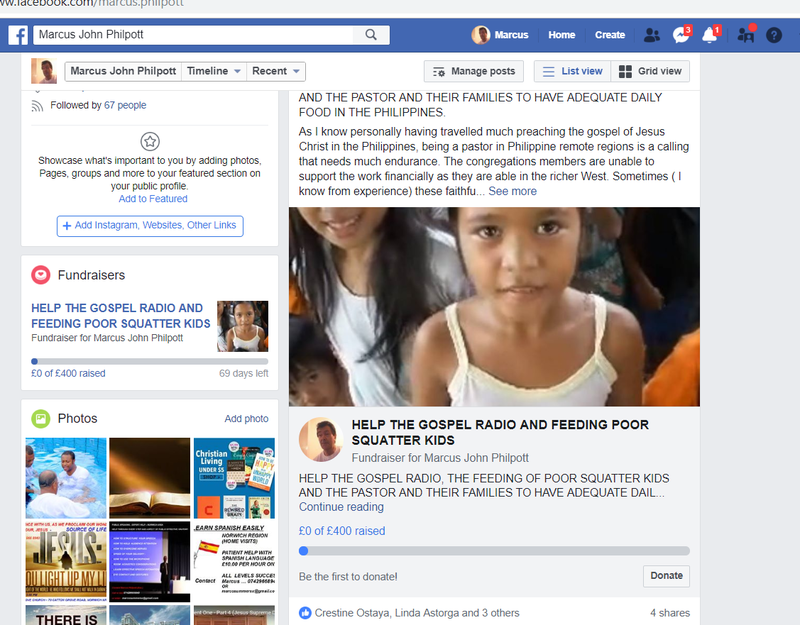 The standard cost for a months Christian radio transmission is 7000 pesos, ( approx £101) – a great burden for a pastor with very limited resources! PERSONAL NOTE: My beloved brothers and sisters I am aware that many of you are already giving till it “ hurts” to the Lord’s work. But unashamedly I’m making these needs known through the coming year and praying that God may direct some to help this cause. PLEASE BE AWARE THAT I AM NOT ASKING FOR NEEDS FOR MY OWN MINISTRY AND TRAVEL. My aim is simply to facilitate communication between any of you that wish to help, and the pastors and the leaders who tirelessly serve Christ. I will leave with a prayer that each and every one of you continues to enjoy God’s grace in your spirits, soul and body. God bless you all and love from Marcus your brother and friend. (2) ON MY TIMELINE YOU WILL FIND MY GOFUNDME PAGE . ( 3 ) PRESS THE [[ DONATE BUTTON ]] AND FOLLOW INSTRUCTIONS. I want you all to be blessed with my wife’s compositions of FREE Christian Healing Music. The Lord can release His healing into our lives into stillness. How we bless Jesus most wonderful Name. He is the Wonderful One! 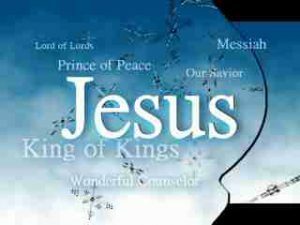 We bless the wonderful Name, Jesus because He is magnificent in so many dimensions. Glorious in His pre-existence. Awesome in His Incarnation (coming to this earth). Sweet in His childhood. Beautiful in the life he lived among us. Victorious in His mighty atoning death, and Magnificent in His resurrection and ascension. How we praise Him. Let’s all remember today, and meditating, think upon the WONDERFUL ONE! The wonderful one is called Jesus and everything about him is wonderful. THE WONDERFUL ONE JESUS was there in the beginning before time or space; before there was anything existing Jesus the wonderful one existed. He was glorious in eternity past! He was worshipped by all the heavenly angels before he came to this earth as a man. Jesus is wonderful in his incarnation…. That word ` incarnation` means that God look human form …and truly became a man! The Almighty God, the CREATOR of the universe, the creator of the heaven and the Earth and of this world CAME as a little baby named Jesus. He is the Wonderful One. His childhood was so sweet and beautiful. Although he was The MIGHTY GOD, he humbled himself and submitted himself to his parents Joseph and Mary. He was a good boy. He was an obedient son. Isn’t that wonderful? Wonderful, that the mighty God the creator of heaven and earth became obedient as a little child in a human family. How wonderful is that – leaving us as an example that we should follow in his steps. And then Jesus, The Wonderful One, grew up to be a man. And there is NO EARTHLY LANGUAGE that is able to describe the beauty of the life he lived amongst us! Every single human language is not able to describe the beauty, the majesty and wonder of our wonderful Jesus the wonderful one. All eathly languages fail! THE beauty and power of his life drew rugged strong fisherman to follow and love him. They were rough and ready and muscular men. Very strong and masculine. But his love melted Their Hearts. AFTER HIS LOVE HAD CONQUERED THEM, they became obedient to him in every way even becoming bedient to die for this wonderful one that they loved so much. The power of his love is far greater than death. The little children where attracted to this wonderful one. Jesus took them in his arms and blessed them. The disciples had no time for the children they said to Jesus ……” Get them away from us they are upsetting our preaching!” But Jesus took them in his arms and blessed them. Prostitutes, Women Laden down with sin would change from sinfulness to purity and love as they looked into the eyes of this wonderful man who loved them with a pure love that drew them to God the heavenly father and gave them a sense of the destiny and dignity and worth in the eyes of God. And we praise God that his mighty victorious death upon the cross FREED every man woman and child from SIN, from death, from hell, from the Grave from depression, from oppression, from all Darkness and caused them to enter into his glorious light. 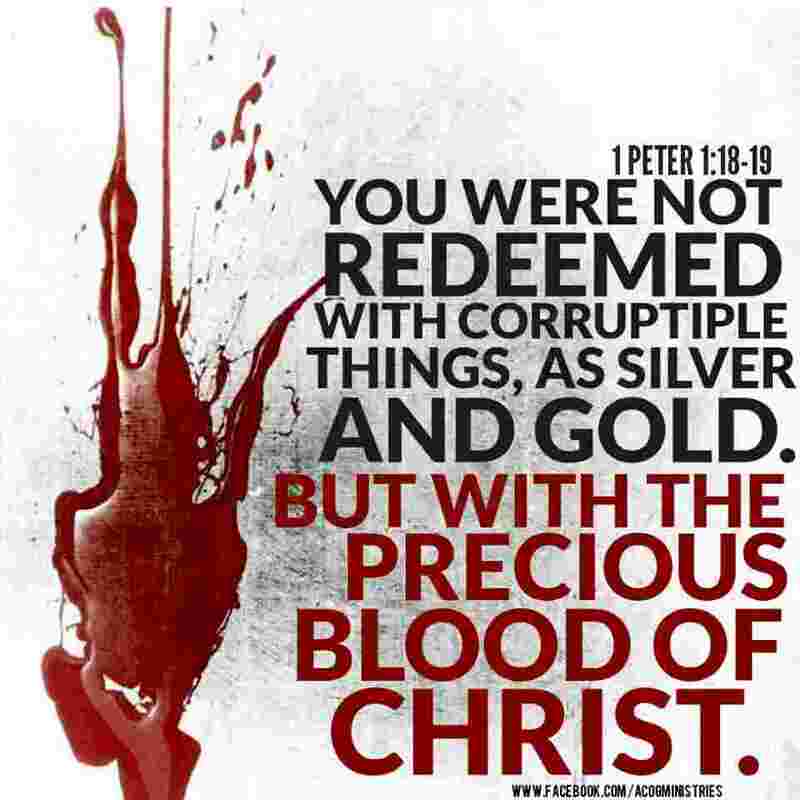 We have Redemption through the blood of this wonderful one. 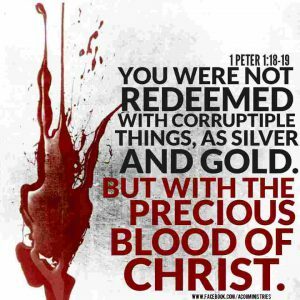 We have the forgiveness of sins should the pouring out of the blood of this wonderful one Jesus! And now he is ascended at the right hand of God. And today if you will only just come to him and reach out to him and call upon him he will come into your heart and into your life and into your mind and into your spirit and put His Spirit within you! JUST.. just trust him today! The following links lead to a wide variety of excellent study books on Exodus. These study guides cover a wide variety of topics enshrined in this book of Moses. The Divine Name In Exodus – Making Sense of the Divine Name in Exodus: From Etymology to Literary Onomastics. The Book of Exodus begins the story of the life of the great leader Moses whose life is further documented in Exodus, Leviticus, Numbers and Deuteronomy. 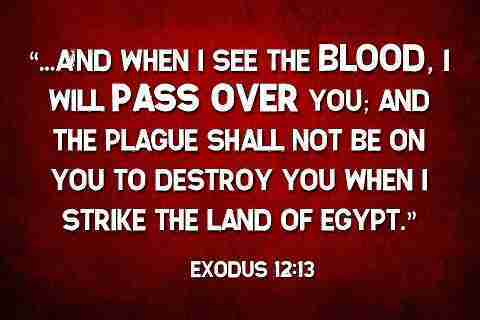 Between the Book of Genesis and the book of Exodus there is a gap of nearly 300 years. 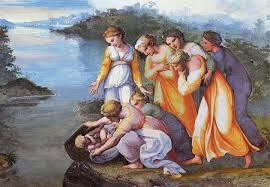 This is from the death of Joseph until the birth of Moses. By the time of Exodus the Israelites had grown in number exceedingly and it was after the death of Joseph that a change of dynasty cause them to be led into slavery. At the time of the exodus there were around 600, 000 men who were above 20 years of age besides the women and children, (numbers 1:46). This would bring the total of people to around three million. No doubt the family records of Abraham Isaac and Jacob had been transported to Egypt and through the long years of slavery there was a steadfast and cherished promise that Canaan would one day be there national home! The Passover account is also an indication of the cross, giving us a clear and full “picture” of Redemption through Christ that is a very beautiful. This account the Passover (Ex chap. 12 ) gives us a portrait of redemption that is even more clear than in the New Testament. I once read an account describing how the Passover lamb was slaughtered by the Jews. In this account they took two wooden bars and formed a cross. Then they tied two of the lamb’s legs to the foot of the cross and fastened the other outstretched legs to the cross bar. Following this, the lamb was killed, shedding all its blood. In the picture of the Passover we see the cross of oue Lord and saviour Jesus Christ. Furthermore, as we consider the portrait of the Passover, we receive a vivid impression of the powerfulness of the blood of the Lamb of God. 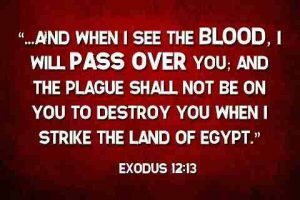 Exodus 12:13 says, “And the blood shall be to you for a token upon the houses where ye are: and when I see the blood, I will pass over you, and the plague shall not be upon you to destroy you, when I smite the land of Egypt.” Such a wonderful picture is in Exodus, but not in Genesis.